Amid the anarchy of China, an American mercenary tangles with a ruthless warlord. Gilda Farrell: Now we'll have some fun! Back to Paris. Tom Chambers: To the same old studio? Gilda Farrell: The same old dump! And work! Tom Chambers: Great! But, you can't paint in that suit. George Curtis: I'll burn it. Gilda Farrell: And you can't write in the top hat. Tom Chambers: In the ash can with it! George Curtis: Let's hear Gilda - can you still say rotten? Q: Is there a difference between the Criterion edition and the Gary Cooper Edition? I'm not a big fan of the Lubitsch Touch. This, which I hadn't seen in 20 years, I think is my favorite. The recent Broadway revival of the Noel Coward play, which was supposedly very ooh-la-la and daring, was a bust. Interminable and misguided. One problem was that the female lead was made very cold. 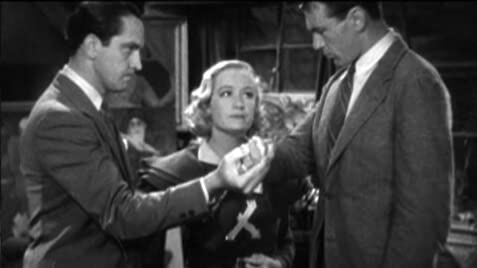 In the movie, Miriam Hopkins is just right: pretty, seductive, witty. Fredric March was a very fine actor but not a comedian. He is the weakest link; but he works well in the ensemble. Edward Everett Horton is funny, as always. It really works, and is as racy today as it must have been when it came out.